Note: I'm pushing these out now in case you're drafting soon! The short blurbs for each player will be added later. Take advantage of the "injury risk" discount! You know who else is an injury risk? Literally every other pitcher. Even when they're not falling off dirt bikes, or being gored by bulls, SPs are at constant risk, so with Garrett Richards we get a potential ace in the middle rounds. FG Depth Charts has 160 IP for him which seems very reasonable - he could even be good for 180 considering he threw 200 in his last full season ('15). Since 2014, he's posted a 3.06 ERA and 1.15 WHIP across 438 innings, so the ERA/WHIP projections here may even be conservative. When to target: Round 14. Poor Michael Wacha. What did he do to lose your trust? Was it the 5.09 ERA in '16? Or the 4.13 ERA in '17? Either way, we need to get back on board with Wacha, who has put up FIP's solidly in the mid-3's his entire time in the majors, thanks to a decent K-rate and excellent HR suppression. The big issue the last two years has been BABIP's around .330 despite xBABIP's between .300-.305. So let's expect that to drop, and we should accordingly see a return to better ERA/WHIP - just keep in mind that the upside is capped unless he runs into some good luck or starts putting up better K-BB numbers! When to target: Round 18. The fact that the Astros gave up on him is not encouraging, but I believe that's a factor of an embarrassment of riches more than anything. Musgrove developed a real homer problem last season (1.48 hr/9) en route to a 4.77 ERA across 15 starts and 20+ relief apps. Moving now to a more pitcher friendly park, and to the NL where he'll get to face pitchers, Steamer is very excited about his prospects of reducing that homer rate... maybe a bit too excited. But, even fading that excitement a bit, I'll buy the improved K% he showed late last year (25% from July on) - all in all, it's a nice pitcher with upside on a rebuilding club that has every reason to let him pitch all year. When to target: ADP is a little all over the place, he's mostly undrafted and could be had in Round 20. 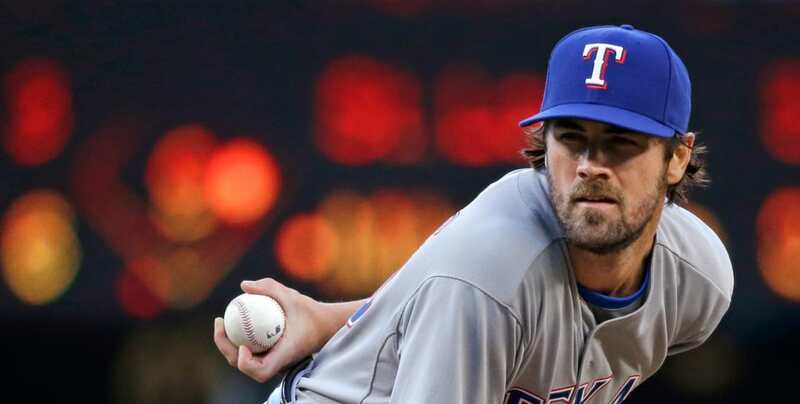 You should have been 'out' on Hamels looking at his numbers coming into '17. Then his K-BB skills collapsed to a new career low at 8.5% K-BB% (previous low: 2017, 14.5%). Even projecting a modest bounceback, this is a pitcher who is primarily offering value at this point by throwing a lot of innings. In some leagues, that can be moderately useful. One wrinkle? He may have played hurt in '17, and so that might be a reason to believe in a moderate bounceback. But I'm not willing to pay the draft-day price to find out. Or as I liked to call him in his former bases-on-balls-happy days, "B.B. Ron". Aaron Sanchez was completely felled by blister issues in '17. Blisters that many have linked to the lower seams on the new baseball (don't listen to MLB's shady claims, the ball *has* changed). So now in '18, I see people saying that he won't have this issue this year... why, exactly? The ball has not changed back, as far as we know. As it is, you have to meet Sanchez believers more than halfway, as his breakout '16 numbers were built upon potentially lucky HR/9 and BABIP numbers. Add the blister x-factor on top of that, and I think I'll find my mid-tier starters elsewhere.